Stories From The Scrapheap - DOCTOR WHO MEETS SCRATCHMAN | Warped Factor - Words in the Key of Geek. 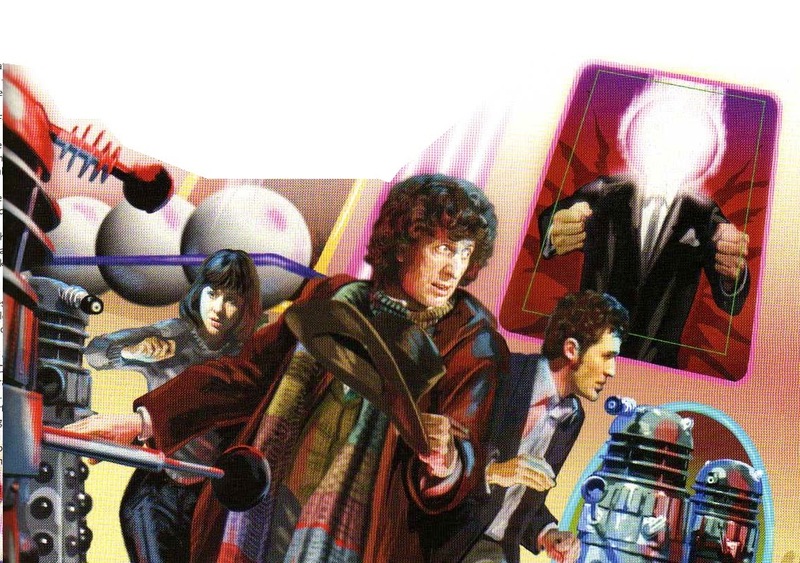 Christopher Morley looks at another unmade Doctor Who adventure, this time it's the Doctor, the Daleks, the Devil and a huge pinball table (!). Doctor Who Meets Scratchman. If Tom Baker & Ian Marter had got their way in the mid- 1970s, we might still be talking about what is arguably the closest Doctor Who ever got to producing a ' rock opera'. 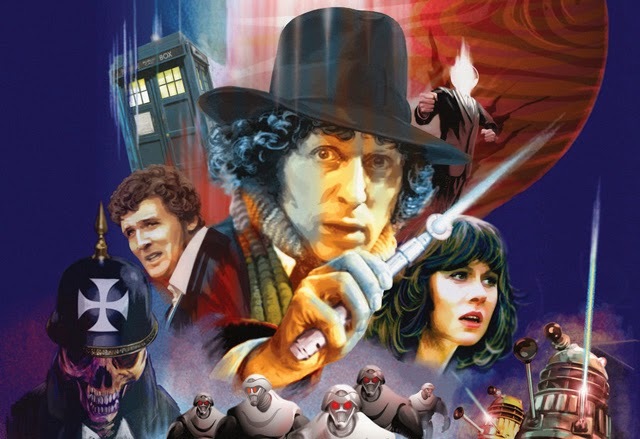 Even a cursory glance at the known details for what was to be known as either Doctor Who Meets Scratchman ( the title they would have gone with had it made it into production) or Doctor Who & The Big Game might leave you wondering if they'd liked the Who's Tommy so much they'd taken elements of it & repackaged it as science fiction! Especially when you consider the big finale was to have taken place inside a giant pinball table- the Doctor, Harry Sullivan & Sarah-Jane Smith having to battle Daleks while praying they're not crushed by balls pinging about the place. To the best of our knowledge Pete Townshend was nowhere to be seen during the writing process, though. And sadly we'll probably never hear the great Mr Baker wrap his vocal cords around the likes of Pinball Wizard, Tommy, Can You Hear Me? or Amazing Journey. Its also doubtful that any recordings exist of the late great Elisabeth Sladen having a go at The Acid Queen either. "Some point early on when we were doing the show, there were times when even Tom wasn't needed so in rehearsals, so he and I used to sometimes go and do The Times crossword puzzle. We never used to complete more than about three clues because we could never do it. And one day we were doing this and Tom suddenly said, 'I'm fed up with this. Why don't we write a story to do on the series? And he had a lovely idea for one, and we talked about it and we just scribbled half a page of notes about the story - a sort of very rough outline. And we showed it - in a vague sort of way - to the script department, but they were, as always, very busy with the season they had already planned. They didn't really have time to take a good look at it, and we didn't get very much feedback from that." "Ian Marter devised the story with me... The plot involved this malignant creature called the Scratchman - which is a name for the Devil - who loved causing trouble, revelling in chaos and destruction of all kinds and on all scales. 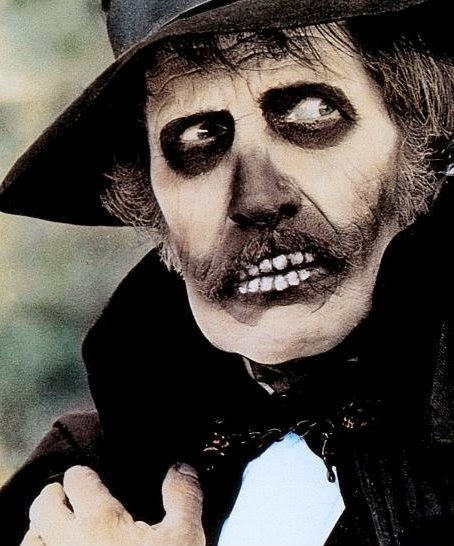 It involved scarecrows coming to life; it was very frightening but had a lot of humour as well." "We weren't going all out to write a movie, we were just sort of writing a bit when we had some time. And then it seemed to be actually developing very well, so we got together with a director and he helped us with it and developed it a little further. We sort of wrote a rough screenplay for it, but it wasn't in any sense a final script - it was just a very extended scenario really. And we then set about the very difficult business of getting money to make the thing. And we didn't succeed." Behind a door marked 'Time Lords' two Americans are studying the files. The cynical Griffin and his younger colleague Potts are engrossed in a section labelled 'Dr. Who'. "No recorded date of birth," says Potts, reading out loud. "First reported seen in 1189... could be much earlier... Two hearts! Have all these Space Lords got two hearts?" "Most of 'em," replies Griffin. Potts continues, telling Griffin that the Doctor was seen at the War of the Roses, the execution of Charles I and the Battle of Gettysburg. "Hey!" exclaims Potts. "I didn't know he found the Loch Ness Monster! And he licked the Marpeds! When's he back?" "Today..." says Griffin, closing the file. The cover shows a portrait of the Doctor, as if stamped by a computer. Potts gazes at the picture. "Funny-looking guy, isn't he...?" A crowd of teenagers, dignitaries and perspiring policemen struggle to maintain order. Beyond the runway, on the other side of a low hedge, the TARDIS materialises, tottering lopsidedly on a small dip in the ground. The door opens and the Doctor pokes his head outside. Seeing the spectacle in the distance he quickly goes back inside. "What a mob out here," he says. "I didn't come back 18 light years for this sort of thing." The Doctor examines the central controls of the TARDIS, telling Sarah and Harry that they're all heading for the peace and quiet of Scotland in 1924. As he sets the co-ordinates he absent-mindedly hums 'Yes, We Have No Bananas'. The monitor screen behind the Doctor shows Concorde touching down at the airport. Soon afterwards a garishly-dressed pop star emerges onto a red carpet, followed by his glittery, sequinned retinue, The Doctor is oblivious to the fact that the welcoming party was actually for someone else, but Sarah and Harry find it hilarious. They join the Doctor in singing 'Yes, We Have No Bananas' as the TARDIS dematerialises. The TARDIS reappears on a windswept Scottish mull. A shepherd dressed in tartan is tending his sheep as the police box appears out of thin air. He scurries away as the Doctor, Sarah and Harry step out onto the heather. In the distance the Doctor sees the ideal spot for a picnic, singing'Yes, We Have No Bananas' he leads the way, clutching a voluminous carpet bag. A shivering Sarah and Harry trail behind. They flop down on a beach and lay a check table-cloth on the sand. As Sarah lays out a tea service and Harry lights a stove. the Doctor produces a battered old bat and ball from the bag. He suggests a game of cricket, wins the toss and goes in to bat. Sarah spits, rubs the ball on her trousers and delivers a demon bowl which overshoots its target. The Doctor, Sarah and Harry split up to search for the ball. He stops in front of an unusually well dressed scarecrow in the middle of the field. "Well held, sir!" says the disbelieving Doctor,retrieving the ball from the scarecrow's hand. The sound of a boiling kettle brings them back to the picnic area, but they return to discover that it has been wrecked. There are heavy tyre-marks in the sand, and almost everything is broken. In the distance, a tractor and trailer drive away at speed. The Doctor, Sarah and Harry find an ancient motorbike and sidecar and pursue the tractor to a black barn in a deserted farmyard. Cautiously, and in total silence, the trio approach the barn. As they get nearer, they start to hear the now-familiar echoing sound of cracking bones. Through the gloom inside the barn they see a ladder, and climb upstairs to explore the dark loft. Peering through the crack in the floor, the Doctor, Sarah and Harry glimpse an almost unbelievable scene. In the room beneath them is a bacchanalia of scarecrows with turnip-heads in black ancient toppers, scarecrows in ragged cloaks with no heads at all, scarecrows with dresses, and scarecrows of twigs and sacks... All of them are ripping open sacks of fertiliser, throwing it into the air and rubbing it into their old torn clothes. The Doctor, Sarah and Harry watch, utterly mesmerised by the bizarre scene, and Harry whispers that the fertiliser seems to bring these creatures to life. The Doctor agrees, adding that the fertiliser appears to be animating the scarecrows' garments. rather than their bodies. Pursued by scarecrows, the Doctor and his friends get back onto the motorbike and sidecar. They whizz away, the Doctor's scarf waving in the breeze like a flag. They follow the moorland road until they reach an eerily deserted village. Inside the post office, which doubles as the village store and greengrocer, fresh produce lies in baskets, seemingly untouched. "It must be ingestation," says the Doctor as they return to the empty high street. "Not to the scarecrows but to the clothes... Organic metamorphosis... but why so aggressive? So destructive...? Very odd..."
The Doctor decides that moths are the solution to the problem. An incredulous Harry looks at Sarah as the Doctor explains that they will need a large number of moths, which they will have to breed using rapid cell multiplication. Once the moth larvae have eaten the scarecrows' clothes, they'll be able to find out what's behind all this. The Doctor strides down the street, stopping outside the village hall. A poster advertises a bring-and-buy sale inside. Inside the hall they find sacks of second-hand clothes. The Doctor tells Sarah and Harry to scour the clothes for as many moth larvae as they can and to leave the rest to him. He turns his attention to the electrical bric-a-brac on the tables. The trio work into the night, using two oil lamps to illuminate the room. Sarah scoops the last of the larvae into a small box held by Harry. The Doctor, meanwhile, has been busy creating a sprawling contraption that requires some essential ingredients. The Doctor sends Harry to the post office to fetch some glucose and sugar. He then tells Sarah to start sewing some ragged pieces of canvas together.